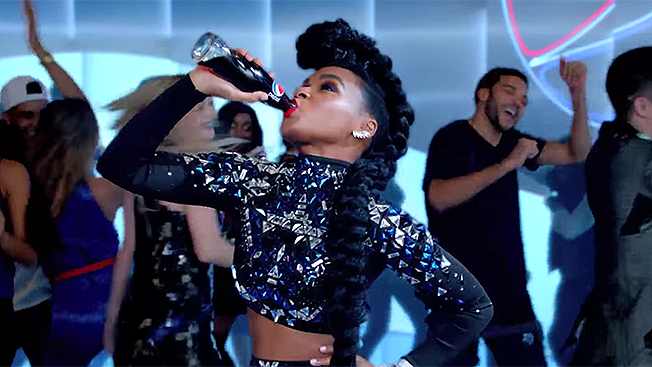 Pepsi is playing homage to its pop culture and musical history this year in its pre-halftime show spot, "The Joy of Dance," starring Janelle Monáe. Monáe, whose unique style and talents can be hard to pigeonhole into any one genre, dances her way through the decades, from '50s doo-wop acts to Madonna and ending with her own take on Pepsi's "Joy of Cola" jingle. The spot was created by The Marketing Arm and directed by Samuel Bayer. Pepsi is the sponsor of this year's halftime show, as well as the Pepsi Rookie of the Year Award and the Pepsi Fan Deck at Levi's Stadium. Monáe, one of the past year's most in-demand icons, has been the face of Procter & Gamble's CoverGirl alongside Katy Perry and Pink.